Issue: Cracking in the silo wall due to asymmetrical flow. 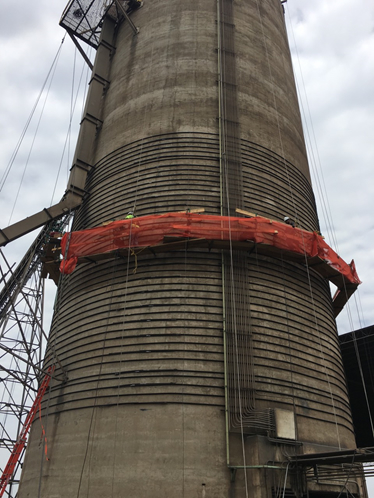 A Marietta Silos silo repair crew is shown placing support strands around the exterior wall of a silo that has cracked due to interior pressure loads and an imbalance of load management. Once in place, these strands will be tensioned to meet professional engineering specifications for wall reinforcement. This project was initiated following an inspection that determined horizontal forces from an asymmetrical material flow caused the silo walls to crack. Once the strands are properly tensioned through a hydraulic process, steel lock couplers are positioned and tightened. 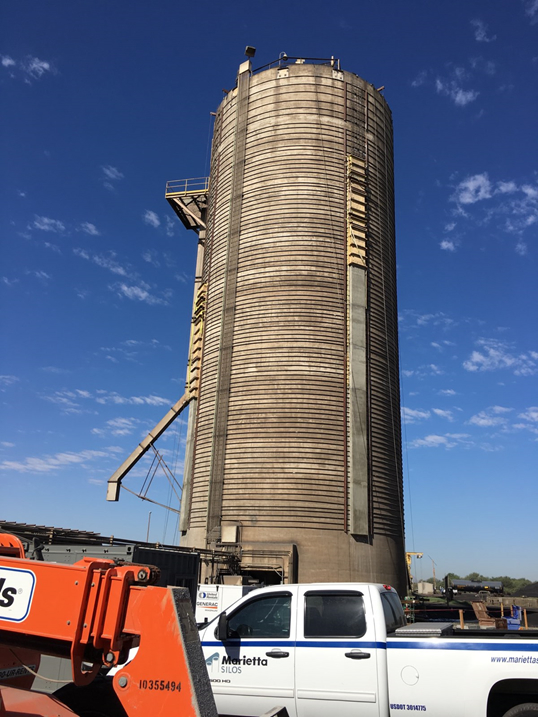 Tension is a critical component in the silo repair, and is determined by a qualified engineer using such factors as silo size, stored material weight and how the silo is used. 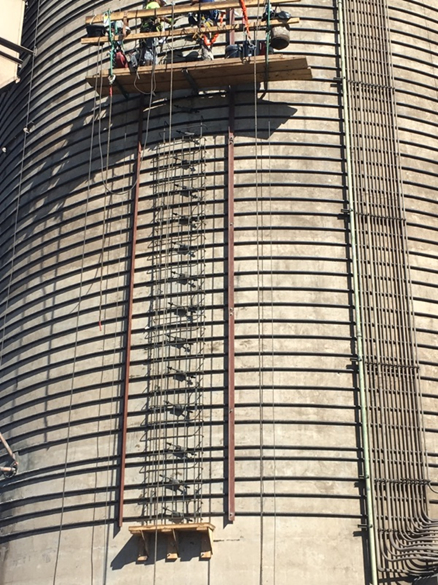 Once completed, the tensioning assures that the silo can be safety used. Shown: Concrete encasements are poured around the lock couplers for protection from the elements. Tensioned strands that surround the silo are encased in an ultraviolet resistant sleeve to prevent sunlight deterioration.